These simple, sturdy hangers can be used for hanging clothing or any number of other uses. 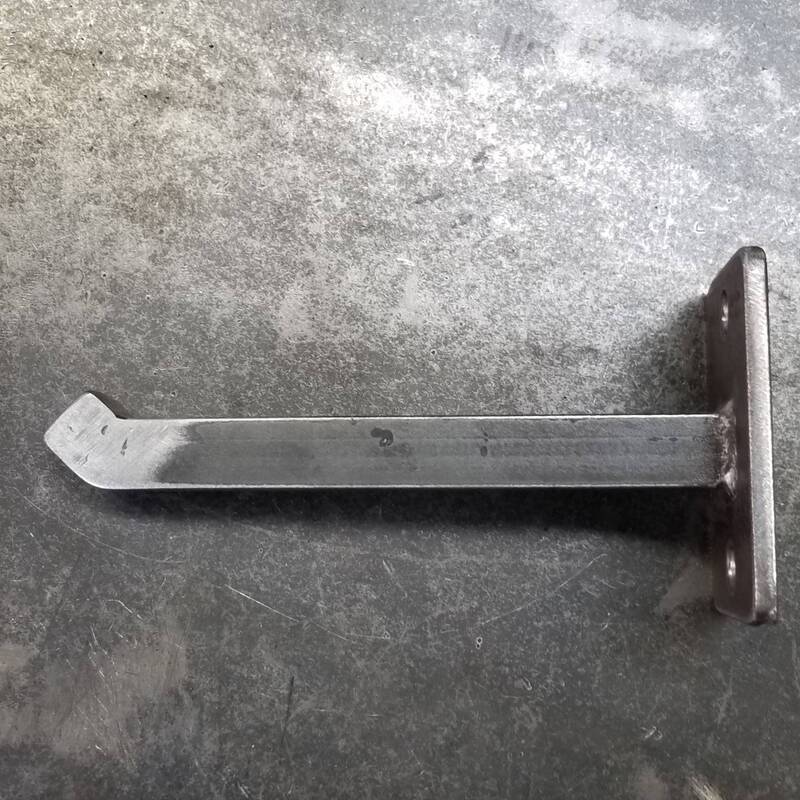 Available in lengths from 2" to 12"
5/8" square heavy duty hot rolled steel square bar is used, fully TIG welded to a 2x3" base 3/16" thick with a tang on the front to keep things from sliding off. 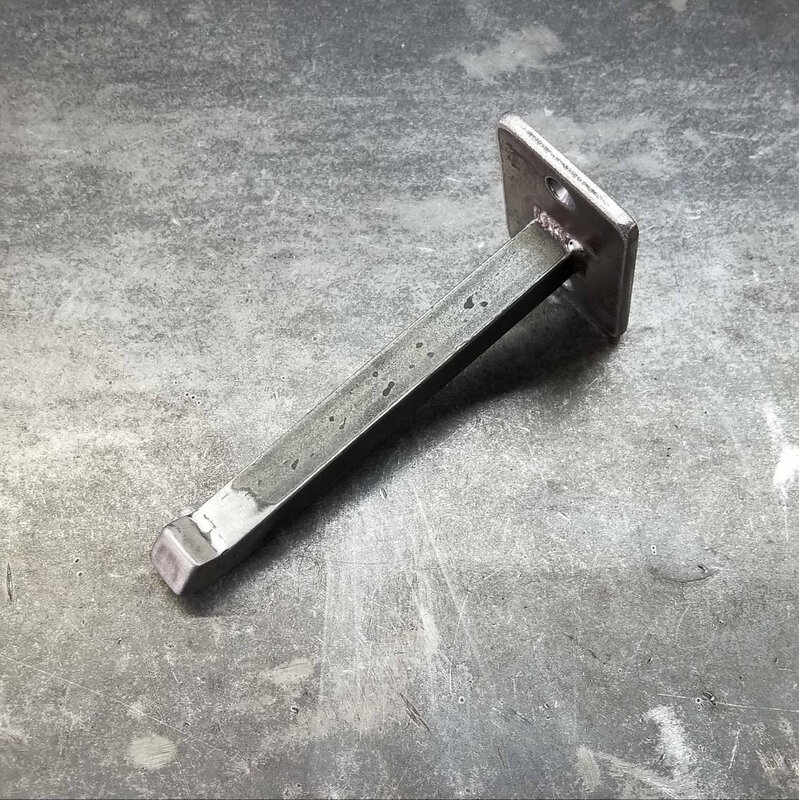 Pictured is the 6" size. 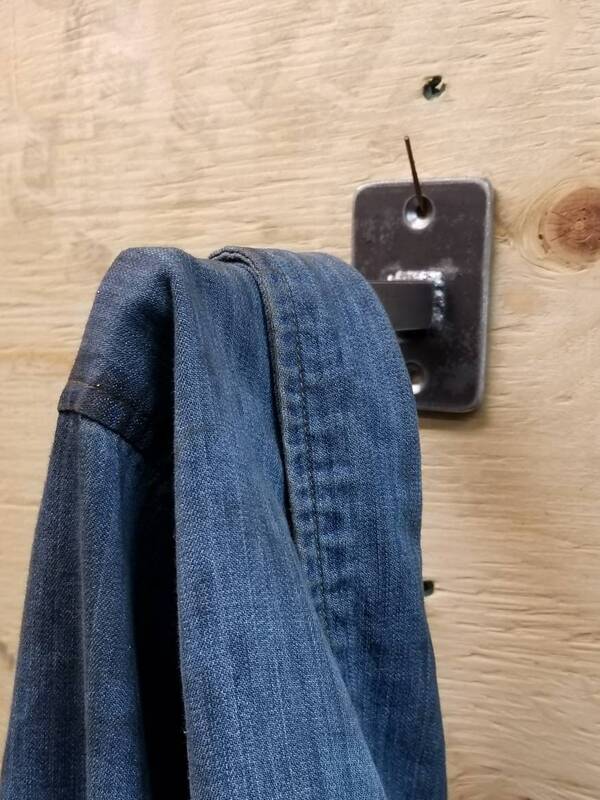 These should be screwed to a stud or something sturdy using quality screws. They are available raw, clear coated raw or painted. We'd be happy to do a custom version of these if you have specific design requirements. Just drop us a line!